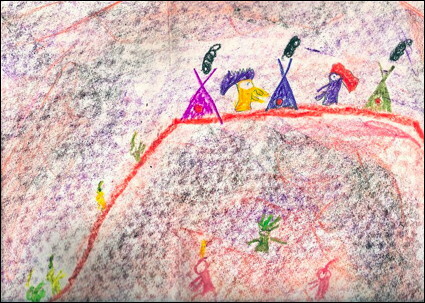 For my Thanksgiving artwork in grade school, I drew Indians in their mountaintop village and got a "B." My friend Susie drew Pilgrims eating turkey and got an "A." She could also draw better!